This Hotel Comprises a Total of 142 Rooms Spread Over 7 Floors of Which 10 Are Single Rooms and 120 Are Double Rooms. The Air-Conditioned Building Features a Foyer With 24-Hour Reception Desk, a Safe, a Currency Exchange Facility, a Lift and a Caf????. 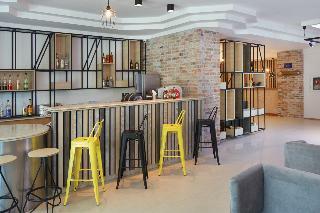 In Addition, There is a Bar, a Shop, a Hairdresser'S Salon, a Tv Room and an Air-Conditioned ???? La Carte Restaurant Available For Use. Furthermore, There is a Public Internet Terminal and Cars May Be Parked in the Hotel Car Park. Room Service and Medical Assistance Round Off the Facilities On Offer.